You...Have A Suit?. 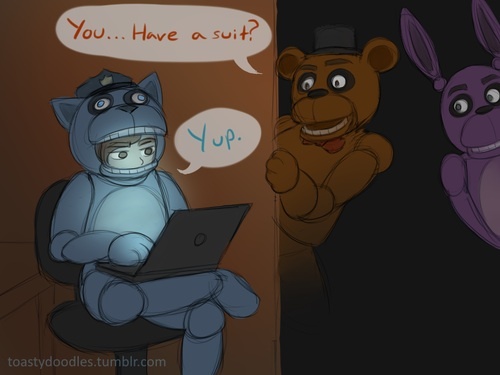 FNAF Фаны should do this in the game xD. Wallpaper and background images in the Five Nights at Freddy's (Пять ночей с Фредди) club tagged: photo five nights at freddy's is absolutely fricken awesome. This Five Nights at Freddy's (Пять ночей с Фредди) photo contains аниме, комиксы, манга, анимационные фильмы, комикс, мультфильм, and книга комиксов.